Home Lincoln MKZ Hybrid Ford is recalling its 2013-2014 Lincoln MKZ Hybrid due to a manfuacturing error which may cause the vehicle to shift out of park allowing it roll. Ford is recalling its 2013-2014 Lincoln MKZ Hybrid due to a manfuacturing error which may cause the vehicle to shift out of park allowing it roll. 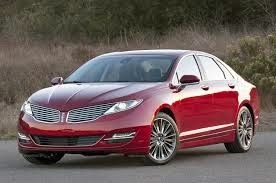 Got a lemon Lincoln MKZ Hybrid? Want a new Lincoln or your money back?